So I begin to wonder what if I live a dream of words? On awakening I sit at my window.. 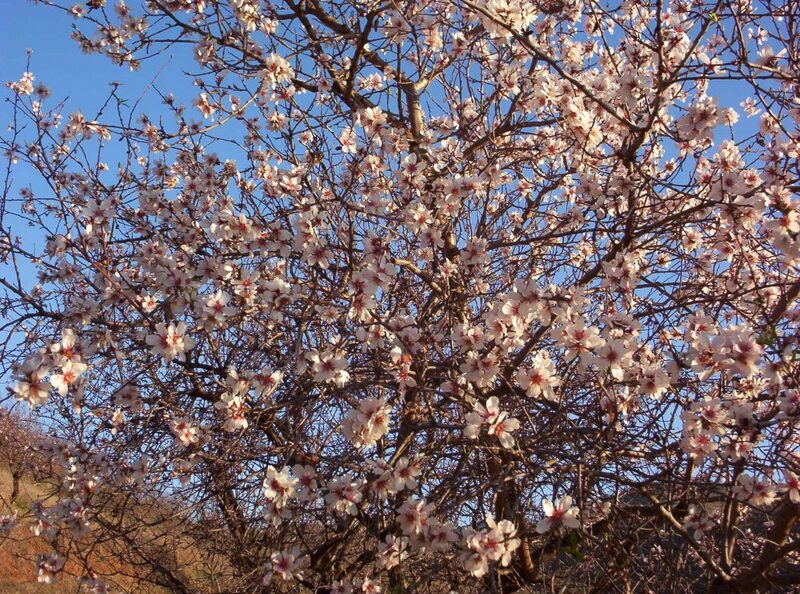 I see the seasons pass, I see the almond trees full of pale pink flowers, they smell of honey… their petals fall, tiny green leaves start to cover the branches, I see where the flowers were, tiny almonds growing, they taste sour, feel velvety. There was no “Time” on this earth…there was magic. I was wondering at what I know!